NextBerry is a RaspberryPI (2 or 3) running Nextcloud. It is forked from the official Nextcloud VM and maintained by Ezra Holm. The RPI image was created to make the installation process much easier – so you can set up your own Nextcloud server without any prior Linux knowledge, pre-configured by experienced Nextcloud users. Download this image, write and mount it, and you’re all set! 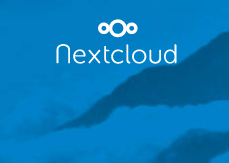 Never heard of Nextcloud before? Try the demo to get a feel for it, it’s really neat! #DropDropbox and control your own data instead! We’ve got very positive feedback from several users around the world for our VMs and this is no exception. We think it feels good to be able to help others with the same things we struggled with in the past. We were all beginners at some point in time and we know that it’s hard to set up a webserver. Note that NextBerry does not include Webmin (optional), and MySQL-server is version 5.5. Insert and boot your RaspberryPI with the newly made SDcard. The device will reboot a couple of times, don’t worry about that. Just keep logging in after reboot.